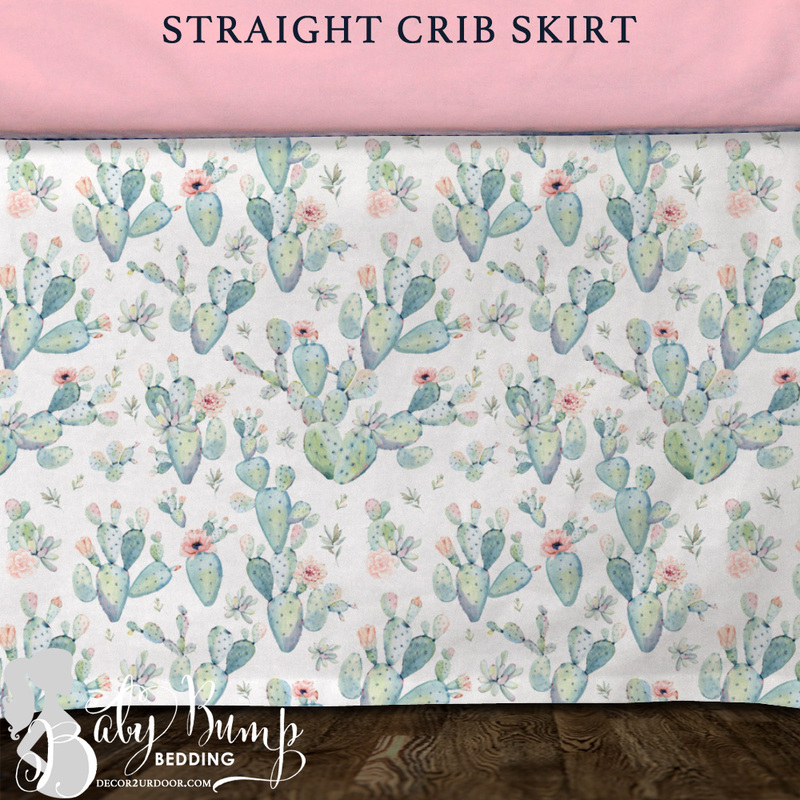 Boho cactus baby girl bedding perfection. 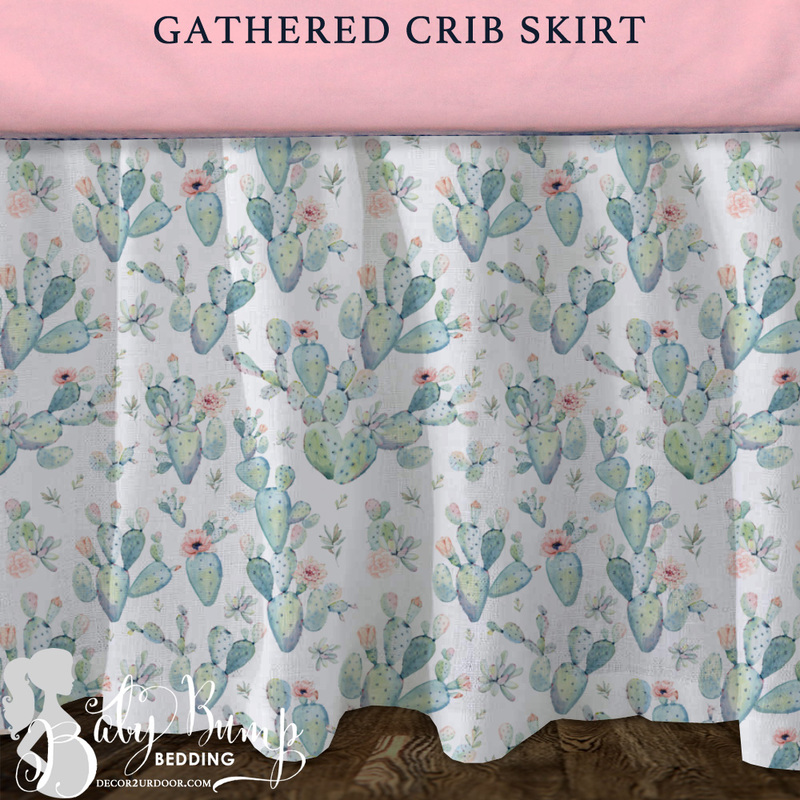 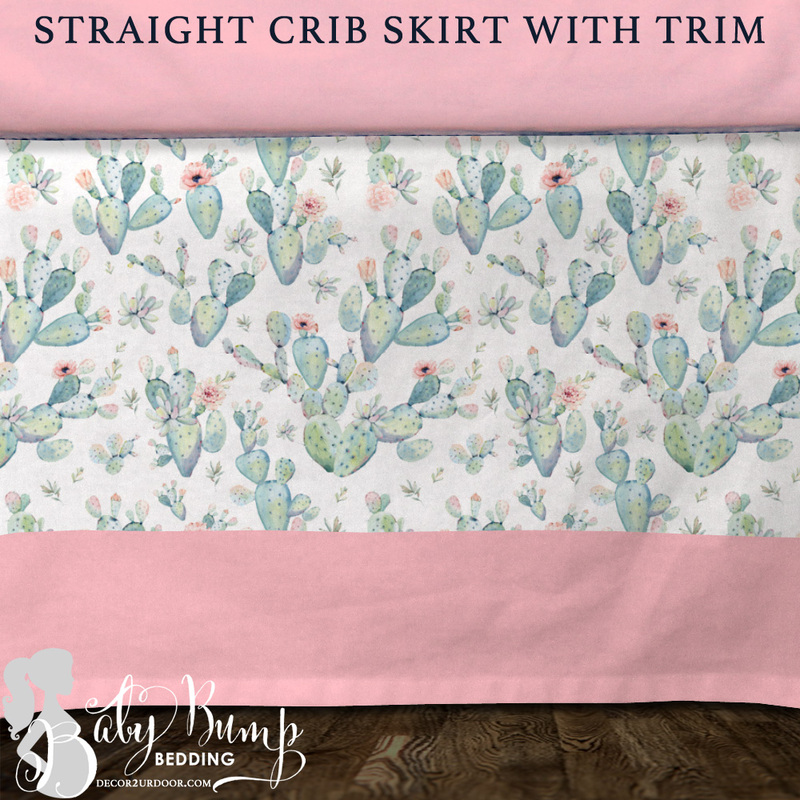 We adore this watercolor cactus crib skirt and coordinating 2-in-1 Bumper/Rail cover set. 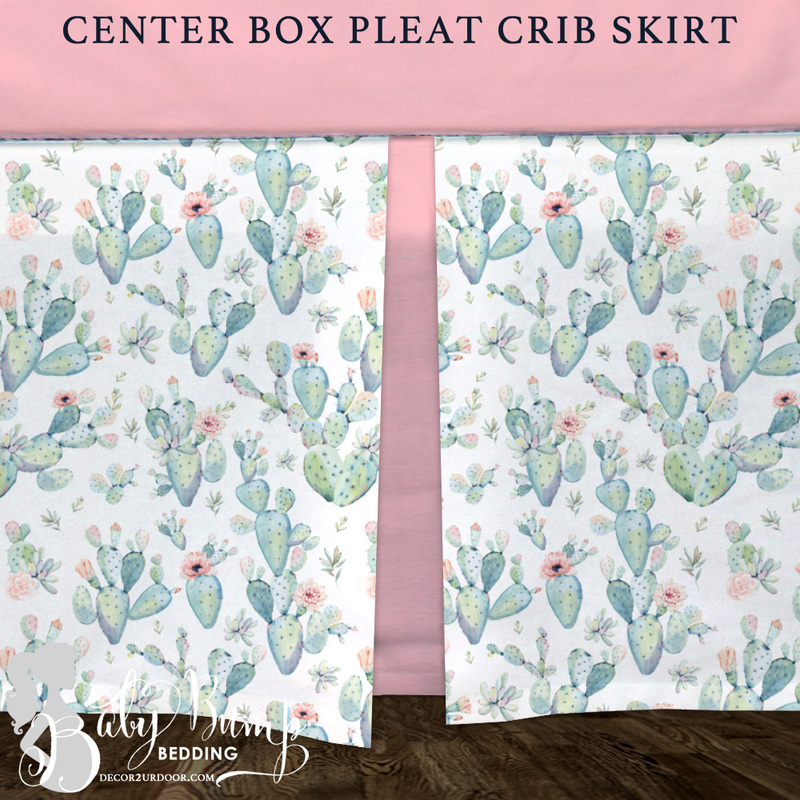 Don’t forget to add your boho dessert themed accessories to complete your cactus themed nursery.